Very seldom do we find change in the safety boot market, but now we have a game changer with the Grubs Ceramic Safety Boot. 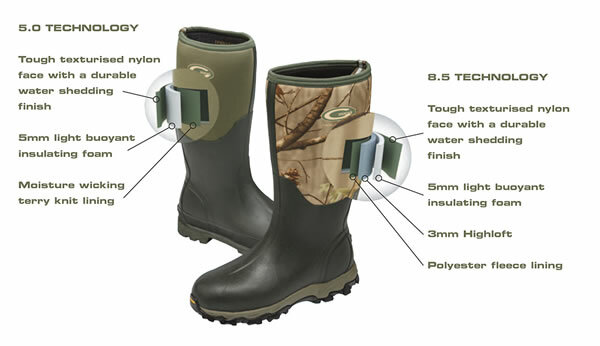 All the safety of a boot that complies with BS EN ISO 203450 S5, together with the functionality of a non-metallic base. This is a perfect work boot for situations where metal toe caps and sole plates would cause a problem. The TREDZ sole pattern provides good perimeter grip for wet hard surfaces and the open inner area, with twist lock studs, provides good purchase in soft ground. Add to that the insulation qualities, and you have a really good all round safety boot. 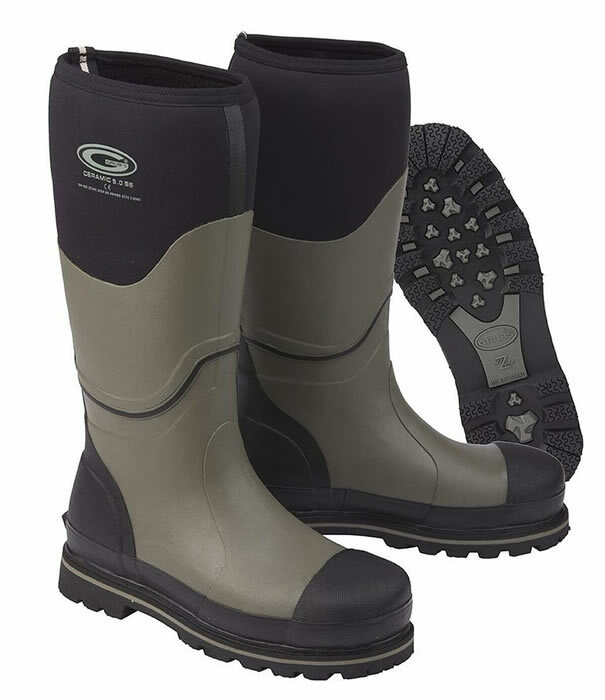 To provide protection to the neoprene upper of the Grubs Ceramic Safety Boot, protective rubber extends two thirds up the boot upper.